After Jose Paolo Guerrero’s mental meltdown and his idiotic decision to hit a fan in the face with a water bottle because “I was insulted”, we decided to give you a compilation of some of the more memorable moments when players or sometimes an entire team decided to take out their frustrations at the fans. 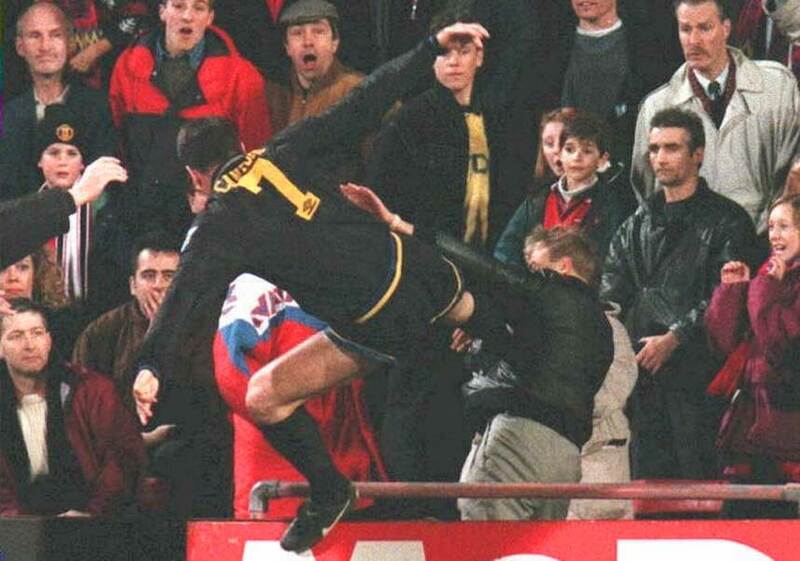 January 25, 1995 – After getting sent off, the Manchester United star couldn’t take the insults and racial slurs coming from Crystal Palace fan, Matthew Simmons, and launched what was later described a “kung-fu” kick into the stands. Cantona was suspended from the Premiership for eight months. 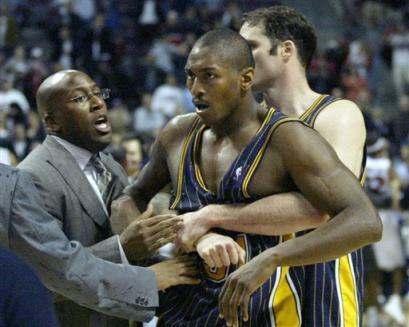 November 19, 2004 – Maybe the most notorious moment in NBA history began when Ben Wallace, frustrated with his team losing to the Pacers, started a mini-brawl between the players on court. Ron Artest actually stepped away from the whole scene, until he was hit with a drink by a Pistons supporter. Then all hell broke loose. A rare inclusion from the Israeli Premier League but a worthy one – In the derby match between Maccabi Tel Aviv and Hapoel Tel Aviv an Hapoel fan ran into the pitch, throwing a flare into the Maccabi fans’ stand. Kobi Moosa couldn’t let that pass and dropped-kicked the hooligan. March 29, 2001 – Toronto Maple Leafs’ Tie Domi squirted water in the face of a Philadelphia Flyers fan, resulting in another fan confronting Domi who was in the penalty box. The glass came loose and the fan fell into the penalty box and into the hands of an enraged Domi, who walked away with a 10,000 dollars fine. 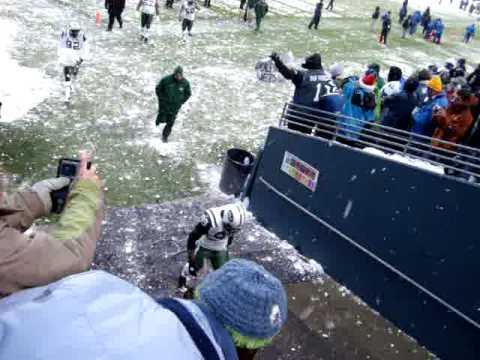 December 21, 2008 – The Jets’ Shaun Ellis threw a huge chunk of snow on Seahawks fans, “in good fun”, if you believe Ellis’ version. It doesn’t look like a fun thing to be hit with. Ellis was fined by the NFL for his actions. 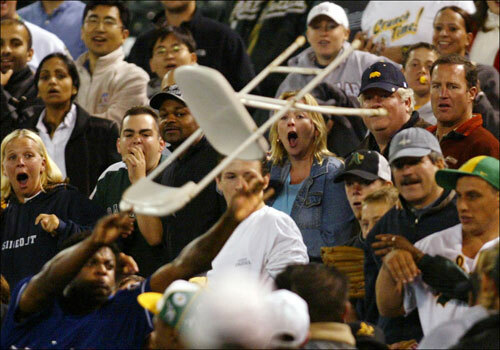 September 13, 2004 – The Texas Rangers pitcher threw a steel chair to the face of a woman after a confrontation began between Doug Brocail and an Oakland fan who was reportedly heckling Brocail about his stillborn child. Francisco broke the woman’s nose and was suspended for the rest of the season. 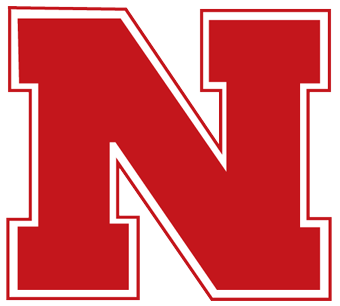 After losing in Columbia to the Missouri Tigers, Nebraska Cornhuskers player Kellen Huston knocked out a fan who ran onto the field for no reason, breaking his nose. Huston got a one game suspension. December 23, 1979 – After the Bruins’ Stan Jonathan was hit in the face with a rolled up program and Terry O’Reilly had his stick stolen by Rangers fans, numerous Bruins players went over the glass and started a huge brawl with the fans. 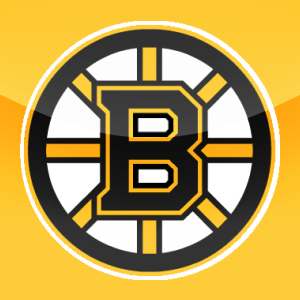 O’Reilly was suspended for eight games and two other players were suspended for six. This incident resulted in the installation of higher glass panels enclosing rinks in hockey arenas.